A solid product with excellent lounge access, but is it worth using your Qantas Points for a redemption? Cathay Dragon is the regional airline of Cathay Pacific, based in Hong Kong. It is an affiliate member of oneworld, meaning you can use any oneworld points currency for a redemption, including Qantas Points. It is a full-service carrier operating exclusively within Asia and used to be called Dragonair. 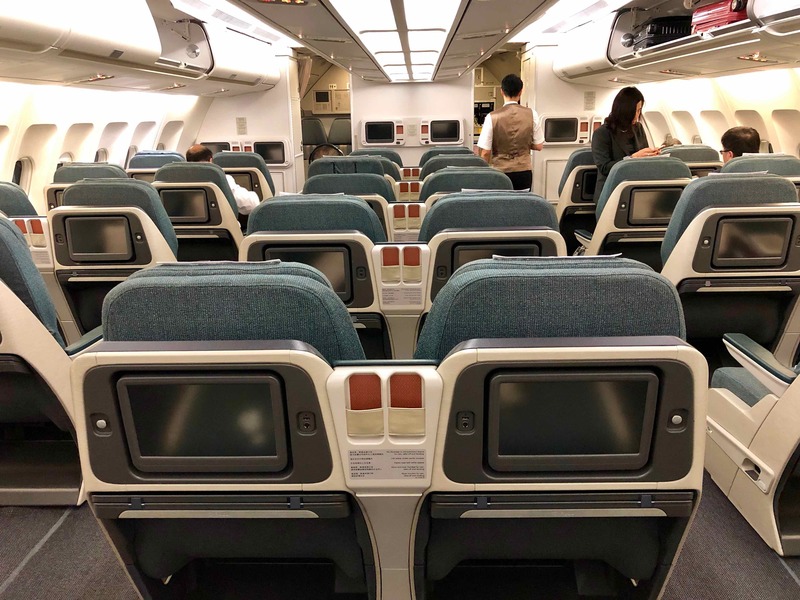 I booked a one-way Business Class flight on Cathay Dragon to Kaohsiung for 9,000 British Airways Avios + US$42 (~AU$57) in order to start my one-month journey around Taiwan in January-February 2019. Cathay Dragon basically operates two types of aircraft, the narrowbody A320 and the widebody A330. 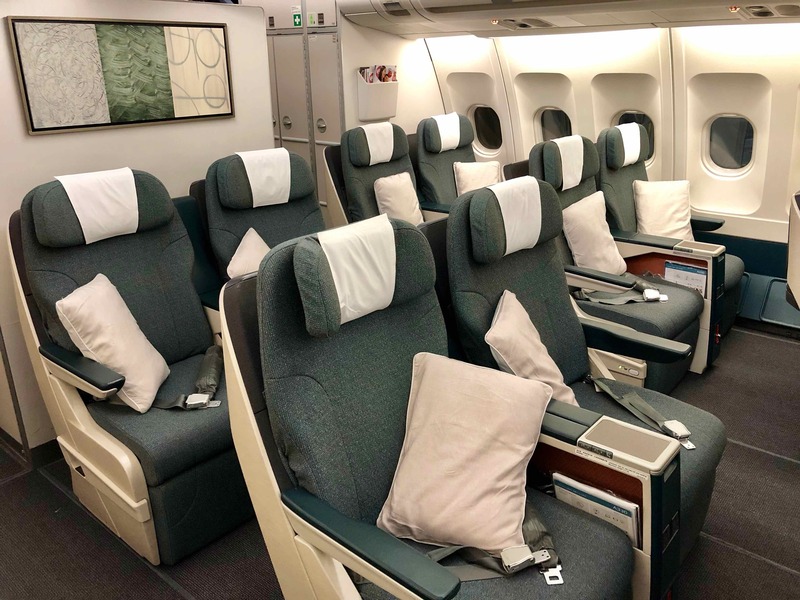 There are a couple of variants within each, the most notable being the largest version of A330-300, which has eight ‘First Class’ seats arranged in a 1-2-1 configuration. Are they really First Class? 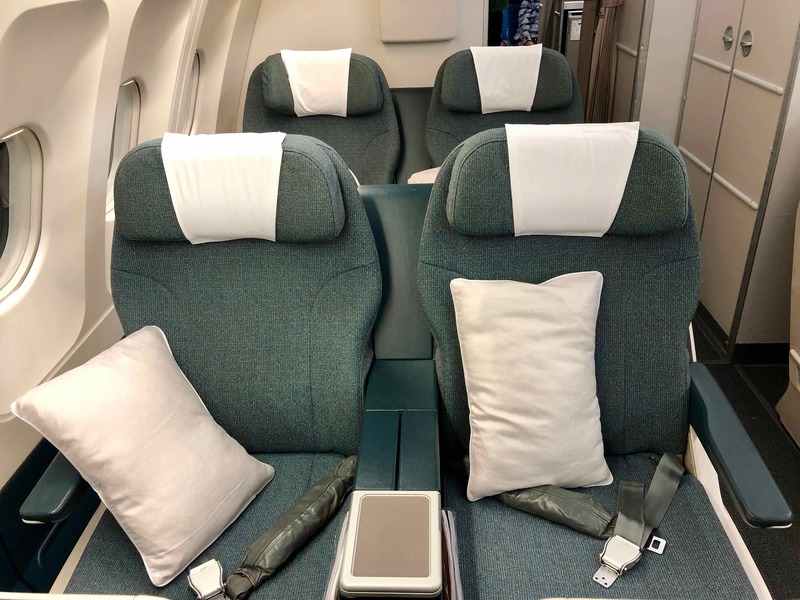 Not really—they are almost identical to what you’ll find in Cathay Pacific’s medium- and long-haul Business Class. 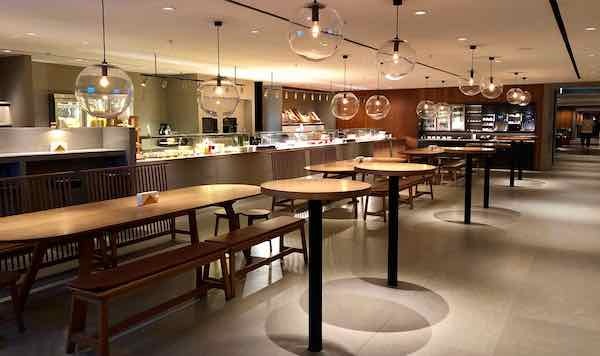 But you will get access to Cathay’s two excellent First Class lounges when departing on a Cathay Dragon flight from Hong Kong. 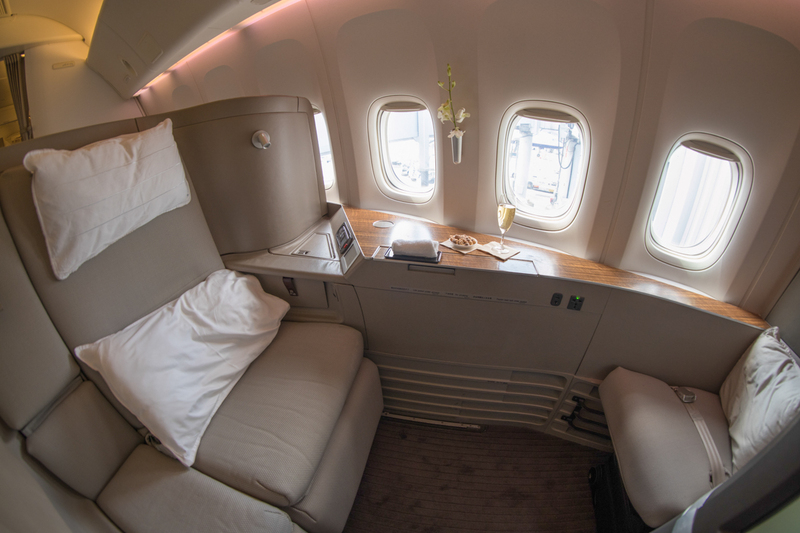 I was originally booked to fly First Class on this route, forking out 18,000 Avios, but they downgraded the plane to one without First Class about three months before departure and I got a refund of 9,000 Avios. I’m thankful for that because First Class would’ve been a waste of points on a 90-minute flight! Most flights are less than three hours in length. The longest operating flight is six hours to to Bengaluru, India and the shortest is to nearby Guangzhou, with less than one hour in the air. Cathay Dragon has a dedicated check-in area in Hong Kong’s Terminal 1. 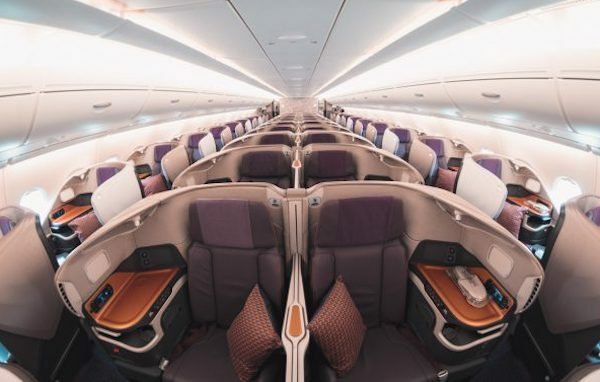 Compared to Qantas and Virgin Australia’s 737s which feature 37 inches of seat pitch (the distance between you and the person in front), you’ll have a more generous 42-45 inches on Cathay Dragon. The seats are about the same width though. 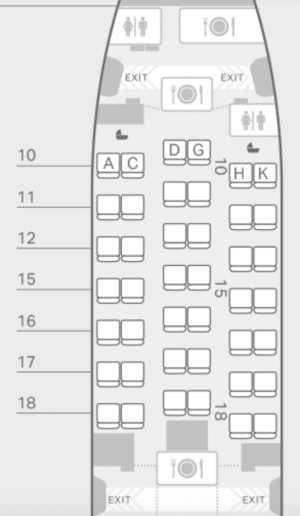 There be 6-7 rows in the Business Class cabin, depending on the aircraft. I was blown away by how large (and empty) the cabin was on my short flight! You’ll find that the finishes are dated but still clean. The seats recline but do not go lie-flat. I would suggest avoiding the first and last rows to reduce noise from the galley and lavatories. Apart from that, it’s fair game. Whether you are travelling solo or accompanied, it is probably nice to choose a seat closer to a window rather than in the centre. You’ll be given the choice of a welcome beverage of water, juice or a cocktail. I ordered a special meal (vegan) and it tasted as unappealing as it looks in the photo, but I’m sure the regular options would be better. Due to the short flight, I don’t have much to comment on. 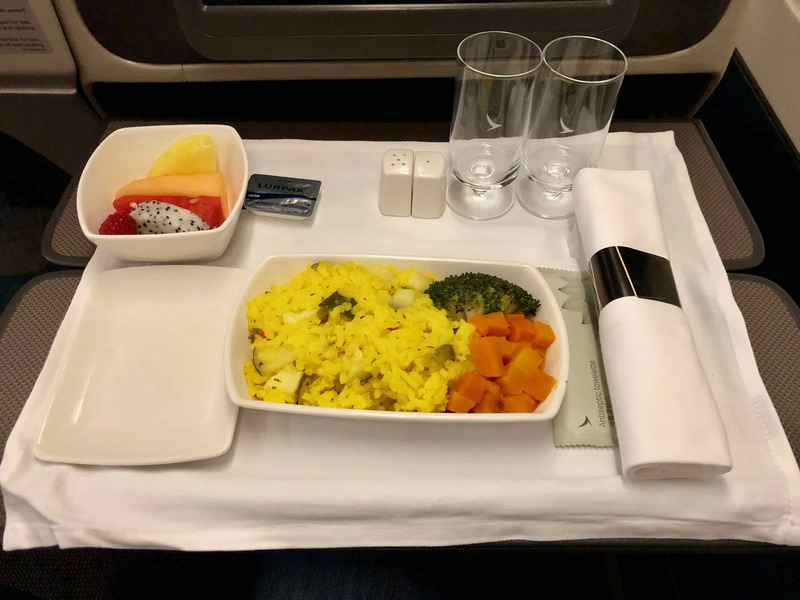 The agent who checked me in at Hong Kong was cold and unfriendly, but the crew onboard were very friendly and it was obvious they enjoyed helping passengers. which has a surprising amount of new release movies. 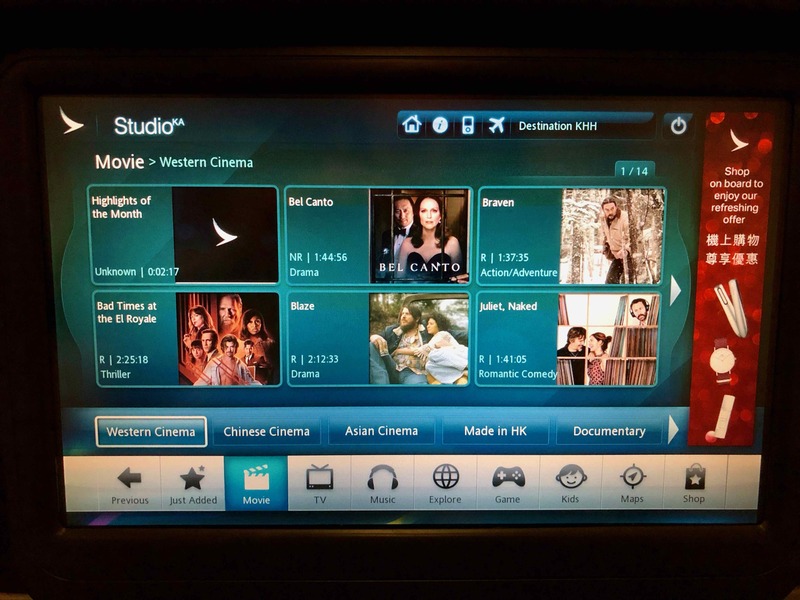 On the A320s, there are no screens, so you can either wirelessly stream content on your own device by downloading the StudioKA app before boarding, or you will be provided with a tablet by the cabin crew. There are no pyjamas or amenity kits provided. Cathay Dragon planes are not wifi-equipped. The lavatories on my flight were kept quite clean, but that wasn’t much of a challenge on a 90-minute flight which was at most 20% full. 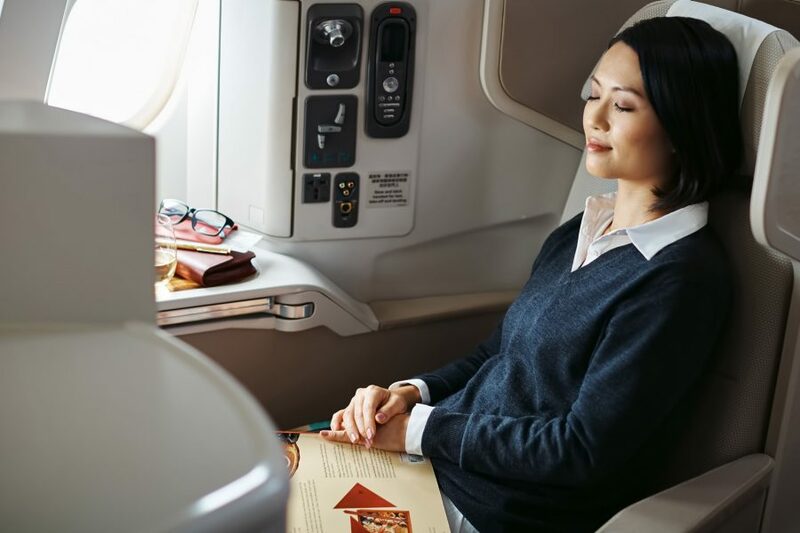 You can redeem your Qantas Points and other oneworld currencies on Cathay Dragon as if you were on Cathay Pacific. 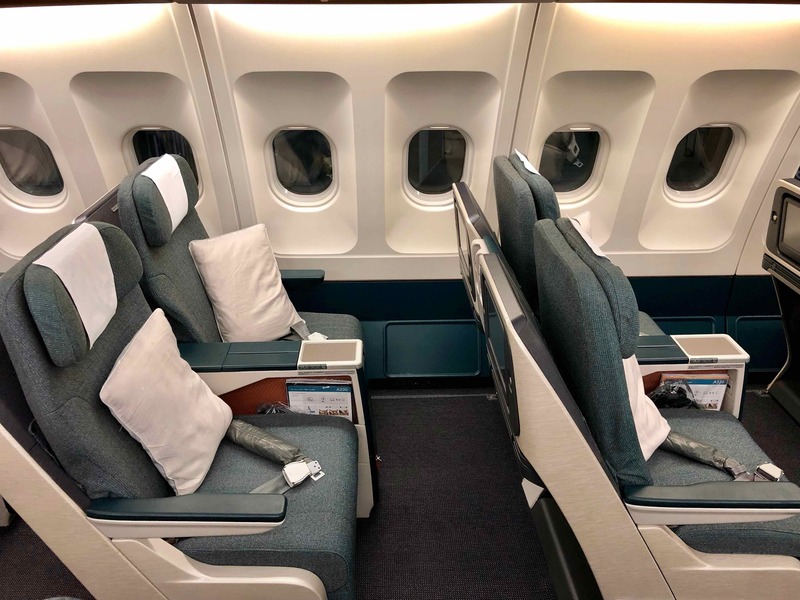 Note that Alaska Airlines Mileage Plan miles cannot be used on Cathay Dragon flights—only Cathay Pacific. Also note that fuel surcharges used to be outlawed on flights departing from Hong Kong, however, effective November 2018, they are now applied. For more information on where to search for award seats and how to book, read the following guide. 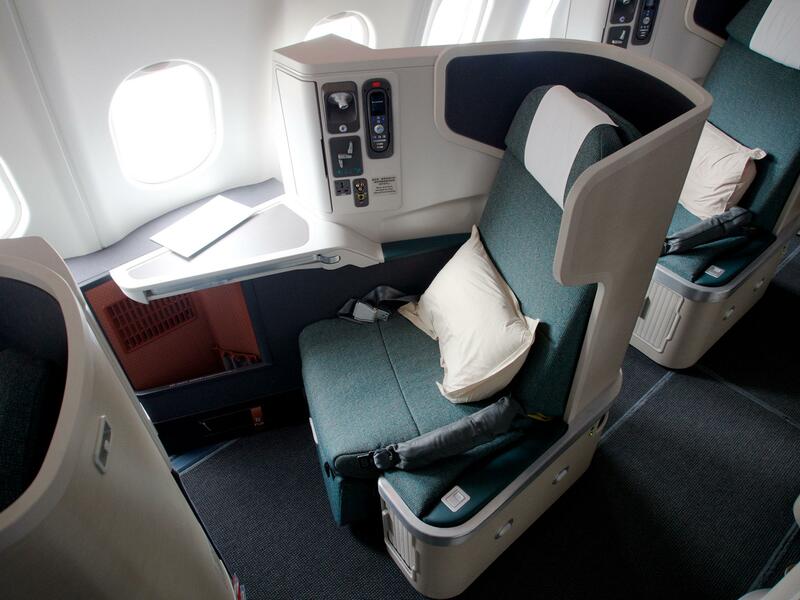 You’ll enjoy access to lounges as if you were a passenger on the Cathay Pacific parent airline. That includes the excellent The Pier Business Class Lounge in Hong Kong (the best of the four Business Class lounges, in my opinion). 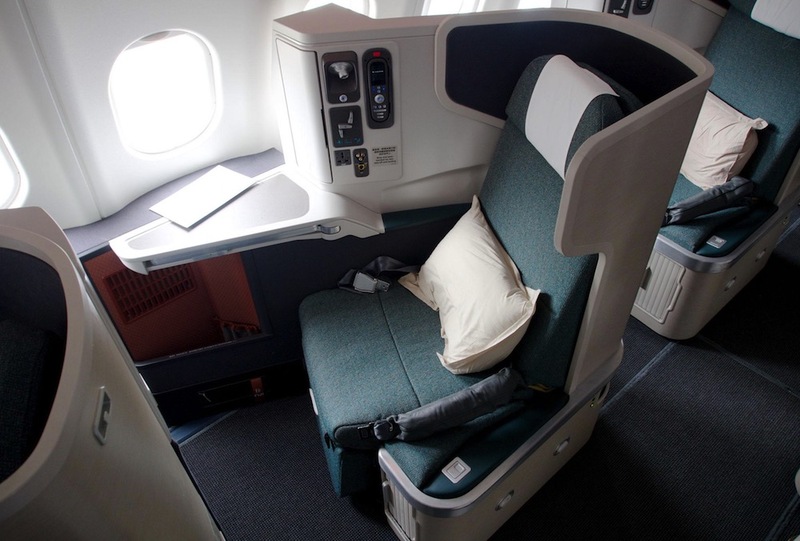 Economy Class passengers with Qantas or oneworld status can also access these lounges. 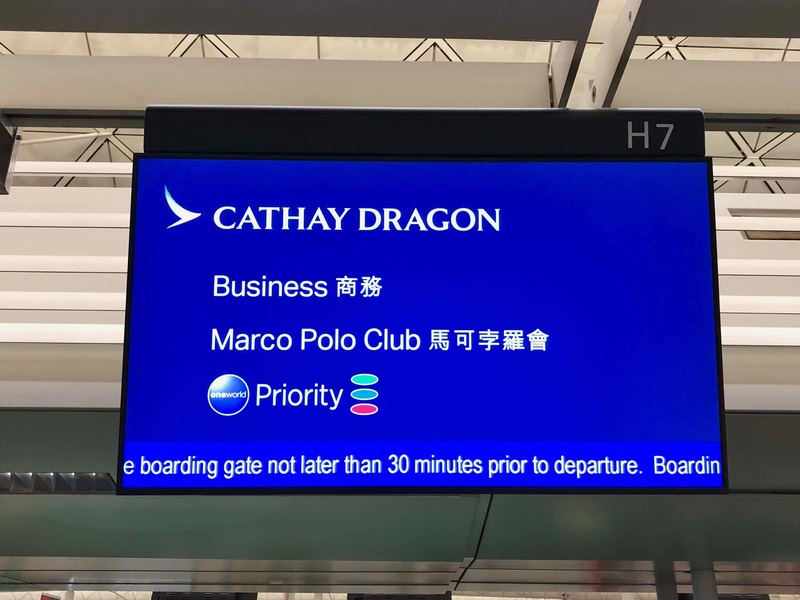 If you are flying Cathay Dragon First Class, you will get access to Cathay’s First Class lounges as if you were flying First Class to Europe or the US. 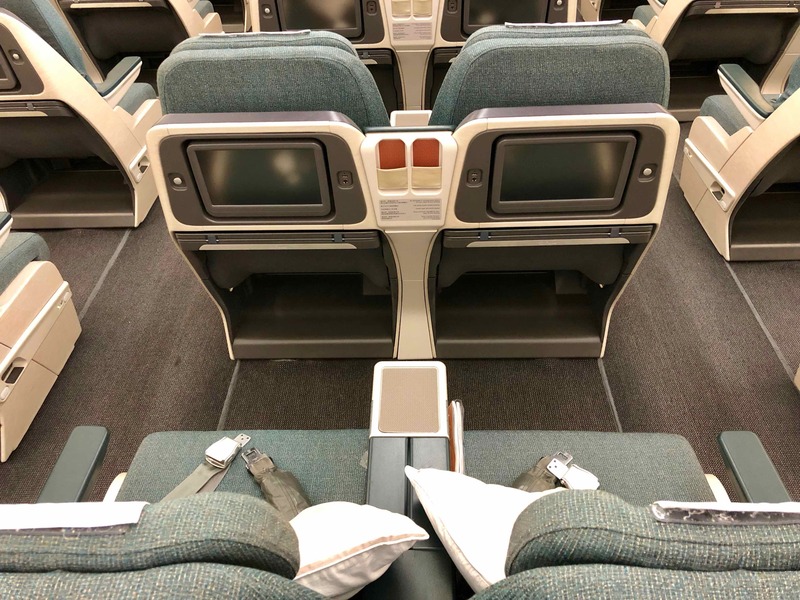 Cathay Dragon has a solid regional Business Class product, with more legroom than you’ll find on domestic Australian flights with Qantas and Virgin Australia. 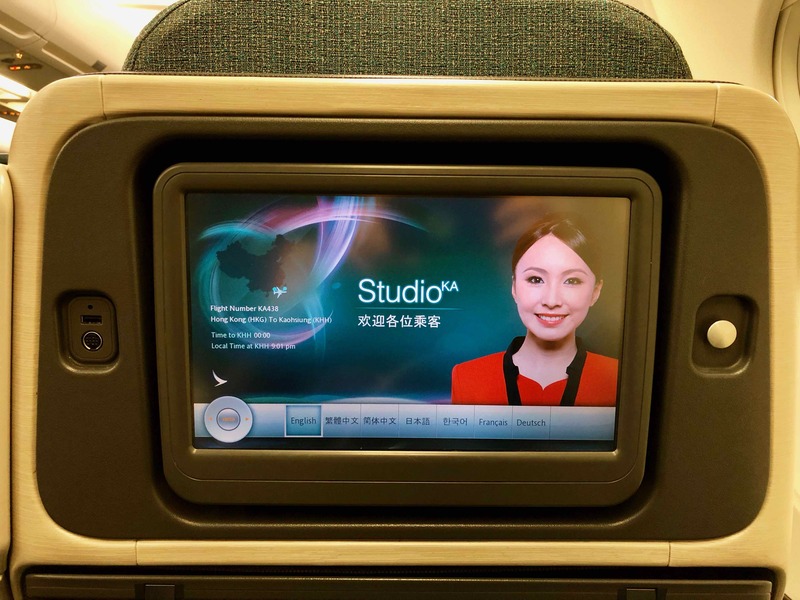 I would happily fly this product again on a flight of less than three hours, but if it were longer, I’d opt for a more expensive First Class seat on Cathay Dragon, or to fly another airline. 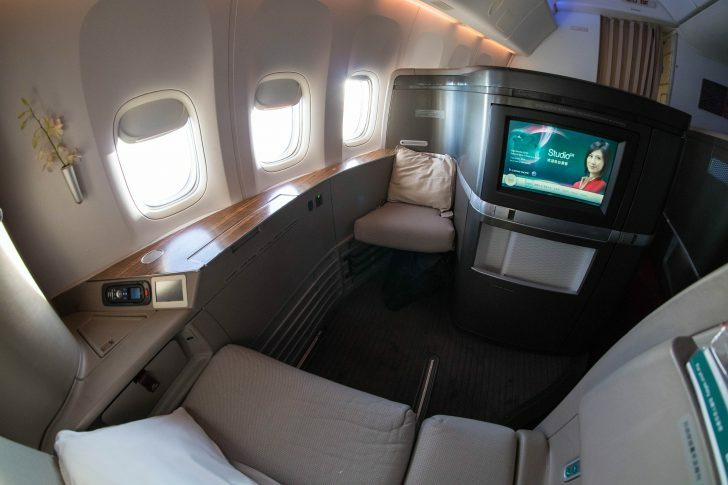 If you can use British Airways Avios to access good-value redemptions, then it’s a no-brainer; if you’d be using Qantas Points, I would maybe consider using cash for a low-cost flight within Asia and saving your points for one of these better uses. 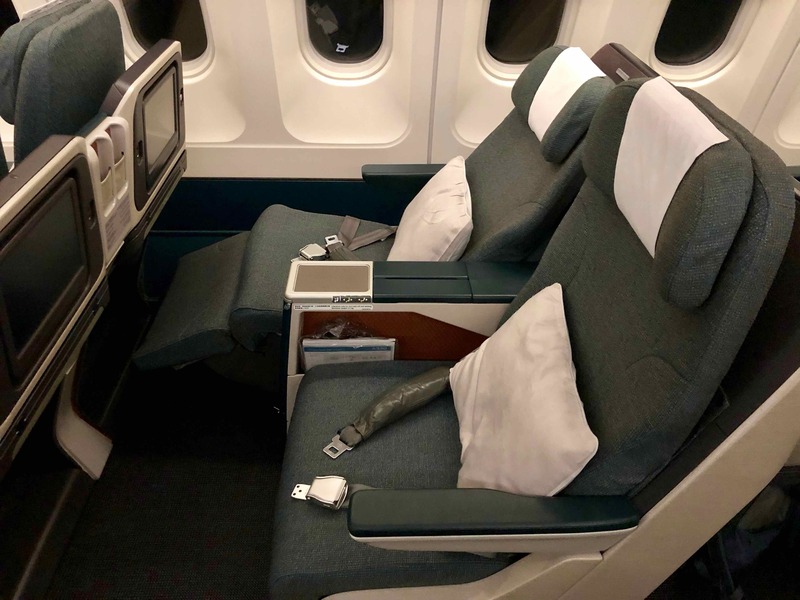 Images courtesy Cathay Pacific and Cathay Dragon. How did you or anyone else watch the seatback entertainment if there was no headphones? Haha true. I did have a flick through the selection but didn’t watch anything. I don’t remember seeing any headphones on the seat or offered, but of course they would have to have them onboard. Review updated. KA does not have any 737s.